Assisted living at Bonaventure is based on a philosophy of care and personal service …promoting choice, independence and dignity for seniors who don’t require the level of medical attention found in nursing homes. In short, it offers the exceptional lifestyle benefits of our Retirement Living option, with extra support available as needed. We also understand that however well planned and provided for, life can be unpredictable, which is why you’ll not be asked to commit to a long-term lease or buy-in. Bonaventure is about affording all the freedom possible, including the freedom to move. All the basics, such as tasty, nutritious meals (plus snacks), housekeeping, transportation to scheduled doctors’ appointments or other outside errands and excursions are included as standard features of our Assisted Living option. But at Bonaventure, we recognize and respect that each resident is unique, with individual needs and desires that differ from person to person while evolving over time. Assisted Living vs. Independent Living: Which is Right for Me? Perhaps tailoring your plan to your specific needs means a more independent lifestyle. At Bonaventure Senior Living, we offer both independent living options and assisted living options for our guests. We believe that being educated on all of your options can help guide you towards the perfect fit for your retirement! Our independent living options allow you more freedom with the same community and opportunities offered to our assisted living guests. At Bonaventure, independence doesn’t have to mean isolation. You’ll enjoy the social atmosphere of retirement without the stresses of housekeeping and maintenance. Not only that, on a weekly basis, you’ll get to participate in our dozens of recreation activities and services. From theatres to salons, you’ll never have to worry about a dull or boring day. Or, if you’re not interested in attending group activities, you can enjoy the freedom of staying in as well. 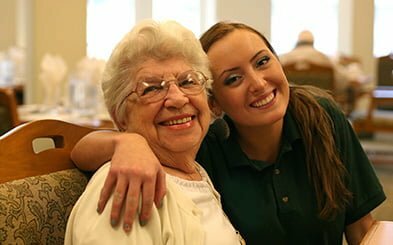 The main difference between this style of independent living and assisted living is the amount of daily assistance. You’ll have the ability to lead a more self-sufficient life, yet have the comfort of being close to assistance when it’s needed. At Bonaventure, we want to ensure you get the assisted living lifestyle you need because your health and happiness matter to us. Our team is flexible and will happily go above and beyond to make sure your needs are met and satisfied. With our abundant assisted living services and our 24/7 caregivers, you are in good hands. 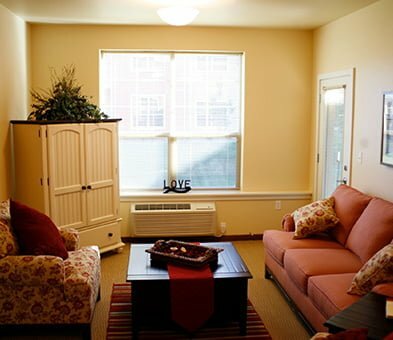 To learn more about our assisted living options, give us a call at 503-967-8508.